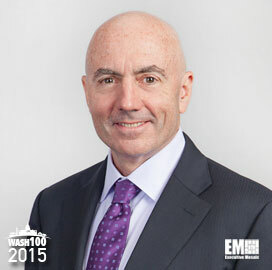 Executive Mosaic is honored to unveil Mark Testoni, president and CEO of SAP National Security Services, as the newest inductee into the Wash100 — a group of influential leaders in the government contracting arena. 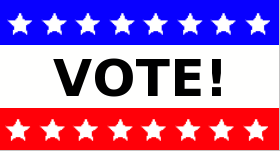 SAP NS2, formerly known as SAP Government Support and Services, is an independent subsidiary of German software conglomerate SAP that supports U.S. customers in the national security and critical infrastructure sectors. Testoni oversees the subsidiary’s management, consulting, product support, sales and go-to-market business strategy. SAP NS2’s portfolio includes a managed cloud package that is built to comply with National Institute of Standards and Technology standards and work as a hosting platform for federal agency applications and operations. After the Defense Department‘s December 2014 release of new guidelines for the direct acquisition of cloud services from industry, Testoni described his belief of how agencies would be able to adapt to the new process. “We always think of the risk of failed procurement or risk of non-standard implementation. But there’s also a risk of not being able to deploy modern technologies fast enough to leverage them and we tend to forget that piece… this will allow for a balance of risk,” he said. Testoni, a U.S. Air Force veteran, also serves as president of NS2 Serves, SAP NS2’s nonprofit organization that provides training and employment assistance services to military veterans. NS2 Serves opened slots in December for a three-month program to train post-9/11 veterans on SAP software and offer mentorship and job opportunities. Executive Mosaic congratulates Mark Testoni and the SAP NS2 team for their selection to receive this award.